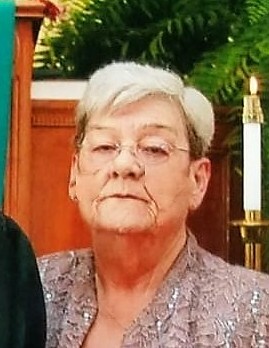 Taylor Funeral Home of Louisville announces the death and funeral services of Mrs. Betty Ann Norton, age 71, of Highway 1 North Louisville who died Thursday morning January 31, 2019 at her residence. Funeral services will be held 3:00 P.M. Monday, February 4, 2019 in the Taylor Funeral Home Chapel with Rev. David Boggs officiating. Burial will follow in the Jefferson Memorial Gardens. A native of Jefferson county, Betty was the daughter of the late Joseph Broadus Davis and Marion Elizabeth McGahee Davis. She was a graduate of Wrens High School and was a loving wife and mother to her husband and children. She is preceded in death by her parents, brothers; Joseph “Joe” Davis and Randy Davis, sister Shelby Shelton, and her husband Roy “Bucky” Norton Sr., and is survived by, a daughter, Elizabeth “Beth” Melson of Louisville, son and daughter in law, Roy and Emily Norton, Jr., of Louisville, grandchildren, Kinsley Melson, Jackson Norton, Calin Norton, several nieces, nephews, neighbors and friends.